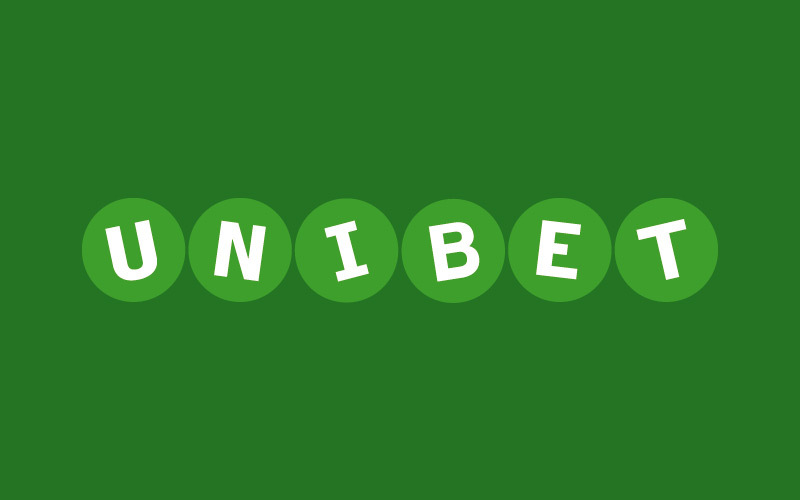 Unibet is an European brand which offers new players a welcome package that includes a £10 no deposit bonus, €2 ticket (also given without a required deposit), a 100% up to €200 deposit bonus, and 4 entries into a weekly €500 freeroll. Unibet offers a 100% up to €200 poker bonus and is currently ranked #22 out of 28 reviewed poker rooms with an overall score of 58.50. Visit Unibet.com for more details and to download the official Unibet software. This part of the welcome package is given without a deposit required. In other words, upon creating a new account, players will receive £10 + €2 automatically. £10 will be given as a cash game ticket, and the €2 as a Unibet Open Qualifier ticket. 2) Register and verify a new account. 3) Upon logging into the poker client for the first time, the £10 cash ticket and €2 qualifier ticket will be credited to your account, automatically. Note: The £10 cash ticket is only valid for UK residents. If you are outside of the UK, you can still claim the €2 ticket. You can see all of your tickets in the profile section within the poker client. The £10 cash ticket is valid only at 4NL cash game tables (tables with £0.02 – £0.04 blinds.) The £10 is considered clear and becomes yours once you see 750 flops at this level. In other words, you must see the flop 750 times, folding preflop does not count towards this total. Cash game tickets expire in 7 days of inactivity. But as long as you’re using it within a 7 day period, it will never expire. If you haven’t clear it yet, don’t forget to keep it active! The €2 ticket is valid for any €2 Unibet Open Qualifier only. In other words, you can only use it to register for one of the €2 qualifiers. You can’t use it in any other tournament or cash game. This restriction makes it less valuable than other no deposit offers, but it’s still 100% free money with no deposit required or strings attached. There are no clearing requirements for the €2 ticket. Any funds won are yours instantly to do as you wish. The ticket expires 7 days after it’s issued, so make sure you use it during the first week! This bonus is only given to new accounts. Another part of their welcome package is a 100% up to €200 deposit bonus, or as they call it, a progressive bonus. There are no bonus codes required, the bonus will activate upon making your first deposit. Simply make a deposit of at least €20 to qualify. Looking at level 3 as an example, once you pay €50 in rake, you will receive €15 of the bonus, which has a value of 30%. As you can see, the bonus is very top heavy, with 70% of the bonus being paid out on the final level. It also gets more difficult to earn as you progress, as the value column shows. A total of €800 in rake must be generated within 60 days to clear the full €200 bonus. This sets the rake per day pace at €13.33. This bonus should be easy enough for anyone clear at any level and has a value of 25%. Even though no points are required to clear the bonus, players still earn points while playing cash games and tournaments. The calculation for tournaments is simple, every €1 paid in fees awards 100 points. This means that paying the total €800 required to clear the bonus, 80,000 points will be awarded. Cash games are a bit more complicated. Points are awarded by completing various challenges, of which there are hundreds. The challenges are labeled minor or major, and the amount of points for completing each increases based on stake. For example, one of the minor challenges is “be dealt fifty pairs”, which would award 900 points at €0.25 NL or 2,500 at €1.00 NL. An example of a major challenge would be “show down a full house 25 times”. Major challenges are worth around 5 times minor challenges. It would be near impossible to come up with a value based on cash games due to their complex system, so we use tournaments to come up with our calculation. Rewards are given out after reaching different point level. For example, when you hit 1,000 points, three €1 tournament tickets are awarded. The reward may be given as a cash bonus or tournament ticket. Collecting 80,000 points will award players with a total of €85 in rewards. Of this €88, €51 is given in cash and €37 in tournament tickets. This sets the VIP Value at 11%, and when combining it with the bonus value of 25%, brings the overall value to 36%. This means players will receive 36% of the rake paid back, which in this case is €288. The below table shows an approximation of how many hands it will take to clear the full $200 bonus. These numbers may not 100% exact and should be used as an average to give you a general idea, rather than an accurate amount. This is because the rake generated varies widely based on playing style. In general, aggressive players generate more rake while more conservative players generate less rake. Therefore, if you tend to play more aggressive, it may take you fewer hands, whereas if you play more tight, it may take you more hands. If you’re looking to play now, you can visit Unibet.com now from any device or platform and start earning your €200 deposit bonus! Looking to get started? Signup at Unibet through Bonus Ace by using the link above. New players can receive the 100% up to €200 opening bonus offered, described in this review.